The colors of the wind racing through the mane on this horse galloping on his adventure! If you love horses, or know someone who does this would be the perfect gift. 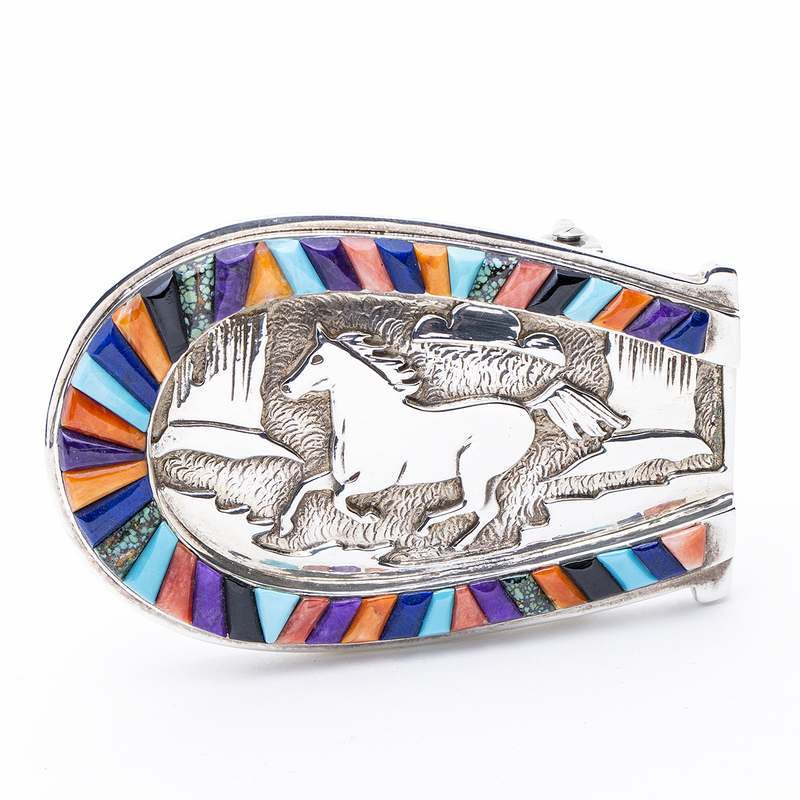 This belt buckle was magnificently designed by talented Navajo artist and silversmith Calvin Begay. Buckle measures 1 7/8″ in height by 2 7/8″ in width and will fit a 1 1/4″ belt. Hallmarked “Calvin Begay” and “Sterling”. Buckle weighs 82.2 grams. We also offer free gift wrapping with each purchase. 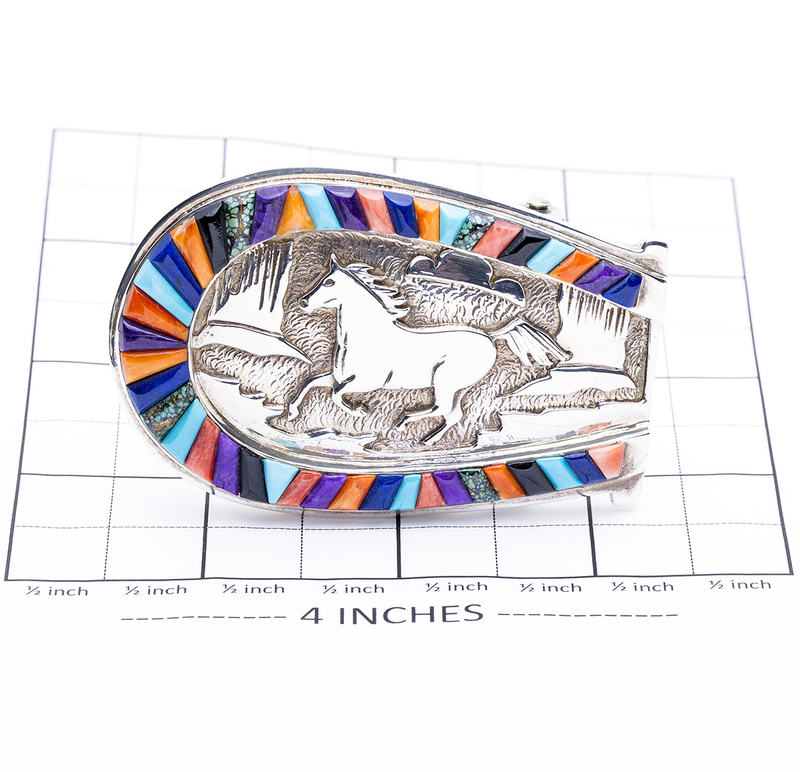 Navajo Calvin Begay Multi stone Buckle displays the beauty of Western buckles with Spiny Oyster, Turquoise, Lapis, Onyx, and Sugilite with Sterling Silver!